Gutsy Boston P.I. 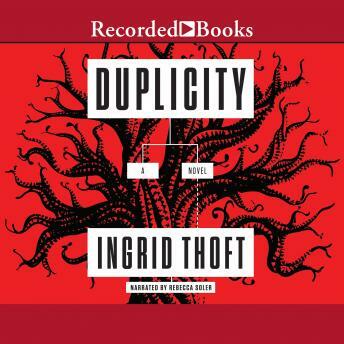 Fina Ludlow returns with a case that puts her faith to the test-in the latest addition to the critically acclaimed series by Ingrid Thoft. When Ceci Renard hires Ludlow and Associates to sue the hip new church that she believes has brainwashed her daughter, Fina Ludlow is assigned to the case. Covenant Rising Church has all the trappings of a less-than-holy organization: a slick young pastor and his comely wife; fancy houses and luxury cars; and devoted congregants who seem eager to part with their money. Fina wonders if Ceci disapproves of Covenant Rising's theology or the pastor's ability to solicit generous donations-until a prominent church member dies unexpectedly. Fina's investigation requires her to delve into the woman's life-both in and out of Covenant Rising-and ask a host of difficult questions. Is the pastor leading his flock astray? Did the church have a hand in the death or were there less savory elements in the woman's life outside the parish? The case proves to be a complicated morass of misplaced loyalties and questionable motivations, rivaled only by the current state of the Ludlow family. The return of eldest brother, Rand, sets in motion an explosive showdown that threatens the very fabric that holds the family together, forcing Fina to confront the true meaning of faith.